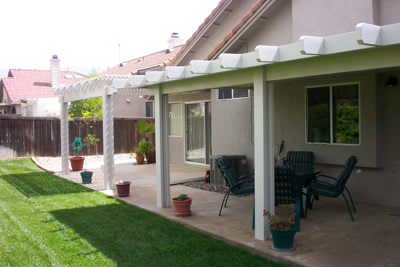 If you’re a do- it- yourselfer and have some construction knowledge or know a do-it-yourselfer that can help you out, you can build your own patio cover and save some money. Tiger Patio can deliver your materials right to your backyard patio slab. Just measure the area you want to cover and we can place your order over the phone. The material will be delivered in one to two weeks. If you would like help with the measurements or would feel better about having us come out and give you some ideas we would be happy to do so. Why wait to enjoy your outdoor space? Finance your project with our 0% interest rate, same as cash option with monthly payments.